If you are keen to receive the best form of training and customer support when it comes to forklift trucks and related machines, Pallet Truck Services can provide you with everything you need. We are proud to say that we have been serving the south of England since 1983 and the fact that so many of our customers leave us positive testimonials or return to us time and time again indicates that we are doing something right. We place a large focus on providing a tailored approach to our customers and whatever you want to know about forklift trucks, stackers or hand pallet truckers, we will let you know. We have all of these machines available for sale or for hire so whatever solution your business is looking for, just get in touch. We have been helping warehouse companies and manufacturing firms since the early 1980s and we are sure that we can help you too. Another area where we are always happy to help is with forklift training. We appreciate that these machines can be daunting for new users and safety should always come first in the workplace. This is why our forklift training Surrey courses are aimed at all levels of users and we believe that there is no safer or more effective way to learn in the area than by learning with us. After all these years, we still have a great passion for forklift trucks and we hope to do business with you soon. We can offer free delivery on all of our products and you should find that our rates are comparable with anything in the local industry. 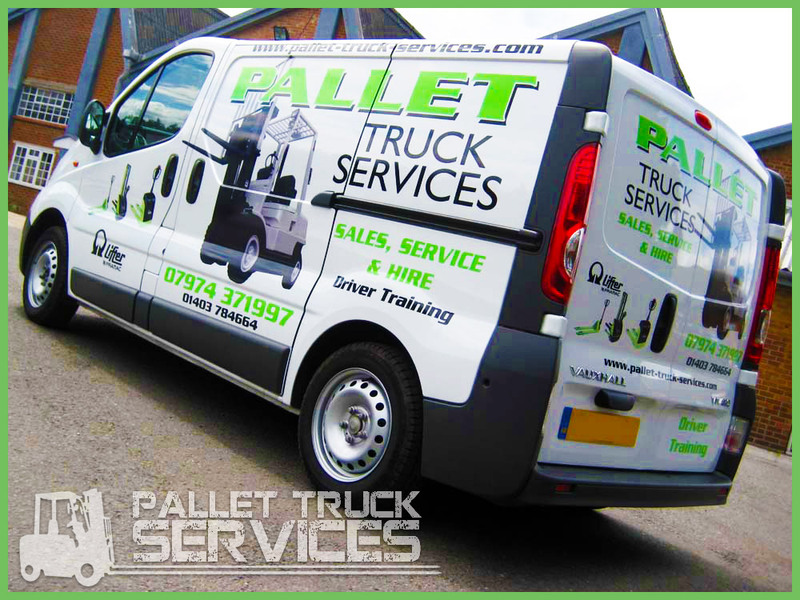 At Pallet Truck Services, we don’t believe you need to spend too much money to get great service and machines; we like to offer this as standard to our customers.